All, I've decide to reactivate my Facebook page only to share with you "THE" most frightening experience I have had as a father, and the dangers of tree wells. What you're about to see is a very real threat and there are many who die each year. Fortunately I was there to pull my son out. Please, take the time to know the dangers around you. Most importantly, never ski alone. 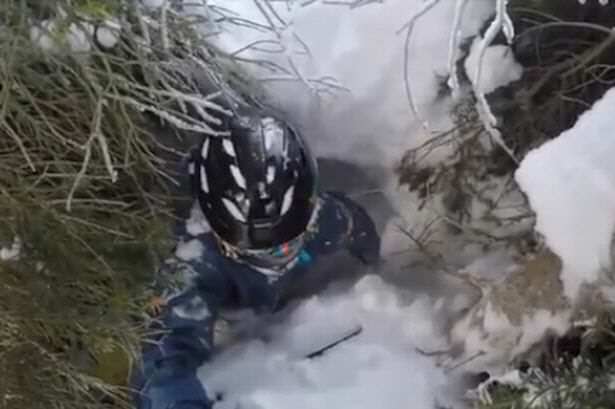 A father who saved his son from a ‘near-death experience’ after he fell into a snowy tree well captured the whole terrifying ordeal on camera. 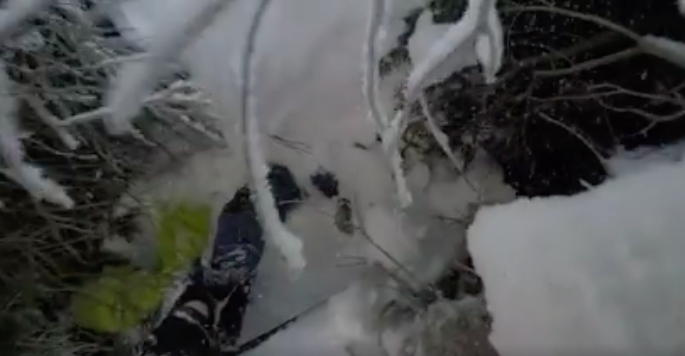 His 15-year-old son was almost buried alive while out skiing and could only just hear his sons screams as he cried for help under the huge pile of snow. At first, his dad thinks it’s pretty funny, but he soon realises the extremity of the situation. Winston can be heard shouting: “Are you OK?” before pulling his son from the hole. The pair had been skiing down a slope at the Brundage Mountain Resort in Idaho last Friday when the incident happened. Winston was filming their run with a helmet camera and took to Facebook to share his video, to warn his friends about these dangers. The footage has since gone viral and has been viewed over 870,000 times. Speaking to MailOnline, Ethan’s mum, Vicki Goss, said the video was too frightening to watch. He couldn’t move his shoulders and head, and he had a balaclava in front of his face. But he wasn’t really hurt. It didn’t have any lingering traumatic effects on him. 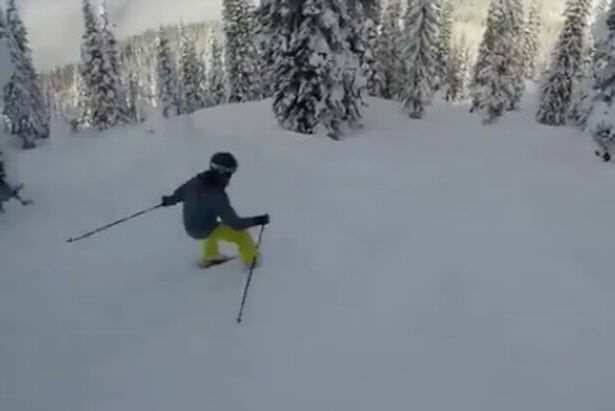 It’s a good lesson, a reminder to never ski alone.